Public Projects Archives - Page 2 of 4 - Tait & Associates, Inc. 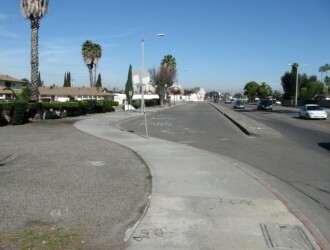 The project included the rehabilitation of eight arterial and collector segments of roadway throughout the City of Pomona. 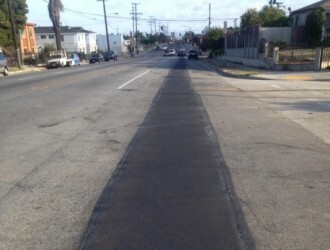 This rehabilitation required analysis of the existing pavement conditions, recommendation of alternate rehabilitation methods by use of recycled pavement options, upgrading of 4 roadway segments for adding new bike lanes and the analysis, and replacement of all curb ramps along the project limits. As part of a Design Build project for Golden State Water Company, TAIT provided the survey and design services for the replacement of 1,600 lineal feet of 14-inch steel water main in Normandie Avenue between Imperial Highway and 110th Street. 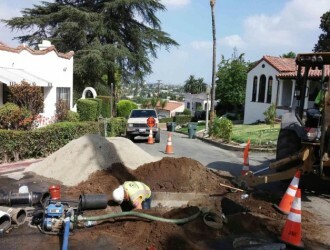 Design engineering services included preparation of improvement plans for approximately one third of a mile total length of water main replacement, with cross connections to local streets, and new domestic water and fire services along Normandie Avenue. TAIT provided design services for the replacement of 10,620 lineal feet of 4 and 6-inch water main in the Adams Hill neighborhood. The neighborhood is serviced by two pressure zones, and the existing water mains were 33 to 89 years old, were deteriorated and could not meet current fire flow demands. 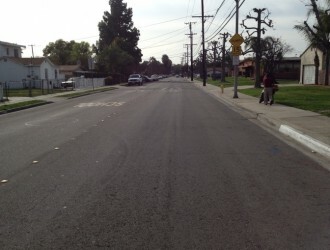 The residential streets were narrow, steep, and windy, and TAIT worked with Glendale Water & Power to determine the alignment that was the best fit for each roadway. The Federal Aviation Administration (FAA) regulates and oversees all aspects of civil aviation throughout the United States. TAIT installed or upgraded fuel systems that supply backup power for communication and navigation services critical to aviation safety. 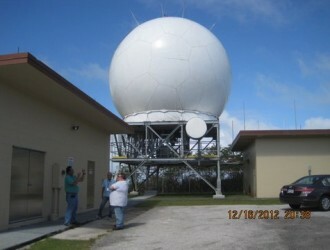 TAIT has serviced the FAA’s vast network at domestic locations as well as remote sites in American Samoa, the US Virgin Islands, Guam and Alaska.